Property 3: Tasteful Casita on a Quiet Street Near Beaches with Views! 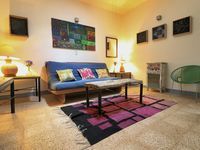 Property 4: Is in a great location! Go to everywhere! We are Pet-friendly! Amazing Ocean View Entire Zicatela Beach and Town 3 Br. 3.5 baths! Property 15: Amazing Ocean View Entire Zicatela Beach and Town 3 Br. 3.5 baths! HOUSE BEACH "LA PUNTA ZICATELA"
Property 19: HOUSE BEACH "LA PUNTA ZICATELA"
CASA MICA - THE PERFECT HOME FOR YOUR NEXT VACATION! Property 22: CASA MICA - THE PERFECT HOME FOR YOUR NEXT VACATION! CASA CEIBA, OCEAN VIEW, BREATHTAKING GEM IS HEAVEN ON EARTH!! Property 26: CASA CEIBA, OCEAN VIEW, BREATHTAKING GEM IS HEAVEN ON EARTH!! 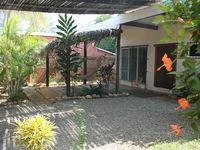 Puerto Escondido 2 bdrm home w/A/C, HUGE PRIVATE POOL-steps to QUIET BEACH. Property 35: Puerto Escondido 2 bdrm home w/A/C, HUGE PRIVATE POOL-steps to QUIET BEACH.